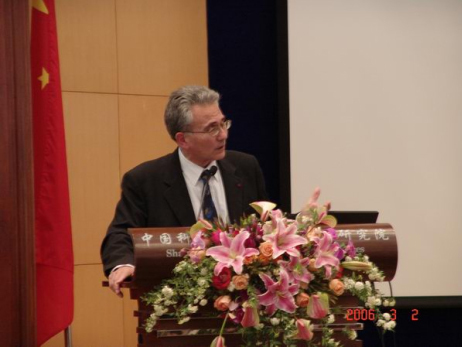 At the invitation of Institut Pasteur of Shanghai, Chinese Academy of Sciences, Philippe Kourilsky, Professor at the Collège de France gave a lecture on “The golden age of vaccinology: hard fact or wishful thinking?”at the Shanghai Institutes for Biological Sciences (SIBS) on March 2, 2006. Prof. Wu Jiarui, Vice-President of SIBS delivered a warm address before the lecture. During the two hours lecture, Prof. Kourilsky gave the audience an overall analysis on the development of vaccinology from both pessimistic and optimistic points of view. The remaining obstacles have also been described which are to be solved by modern science. 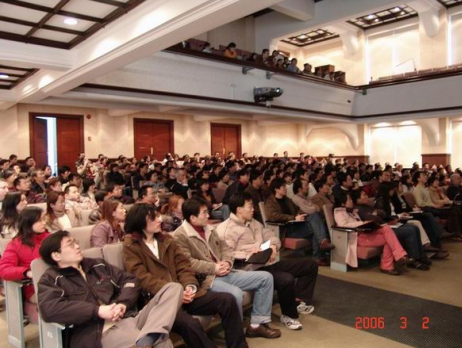 The lecture attracted about 200 researchers and students. The lecture was jointly organized by Shanghai Institutes for Biological Sciences, Institut Pasteur of Shanghai, Chinese Academy of Sciences and the 3rd IHS International Elite Forum, Institute of Health Sciences, SIBS, CAS/SJTUSM.